Progressive multifocal leukoencephalopathy (PML) is a rare, serious and aggressive viral disease of the central nervous system. In this disease, the ‘white matter’ of the brain gets progressively damaged or inflamed at a number of locations. ‘White matter’ refers to the cells which produce ‘myelin’ --- a fatty substance that coats and protects the brain’s nerve fibers and helps conduct electrical signals. The damage caused to the ‘white matter’ can hamper a person’s ability to move, think, and feel sensations. Since the damaged ‘white matter’ of the brain does not grow back, the effects of nerve damage in PML patients are permanent, and may be similar to the problems linked to a stroke. The disease can also lead to memory loss and paralysis. Although nearly 85% of the adults have the JC virus, most adults do not have any health problems linked to the virus because a normal, healthy immune system can keep it in check. However, in individuals who have a weak immune system, the virus affects the central nervous system and causes PML disease. 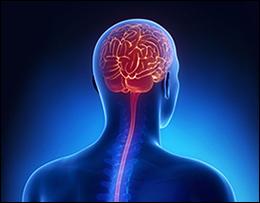 The early symptoms of Progressive multifocal leukoencephalopathy (PML) depend on the nerves which are damaged or inflamed first, because of the onset of the disease. Hence, the symptoms may initially be different for different individuals, and may affect virtually any part of the body. The treatment of Progressive multifocal leukoencephalopathy (PML) is aimed at improving the immune system of the affected individuals with the help of certain medications, therapies or procedures, including Plasma exchange (via blood transfusion), Highly Active Antiretroviral Therapy (HAART), and Supportive and Investigational therapies. However, there is no specific treatment of PML because the cause of occurrence of the disease, and some other health considerations, are taken into account for its treatment. As such, treatment methods are based on individual circumstances of the patients. The preparation of these capsules involves the use of standardized extract of the well-known ‘Ashwagandha’ herb (Withania somnifera), which has immense significance in Ayurveda because of its proven anti-inflammatory properties. Patients suffering from PML can benefit from the use of these capsules because of their ability to improve overall mental health, support nerve functions, enhance brain function, manage inflammation, reduce metabolic imbalances, strengthen the muscles, enhance heart health, reduce hypertension, and balance the ‘Vata’ and ‘Pitta’ doshas of the body. Dosage: 1-2 capsules with plain water, two times a day, after meals. For preparing these capsules, standardized extract of the potent ‘Brahmi’ herb (Bacopa Monneiri) is used. 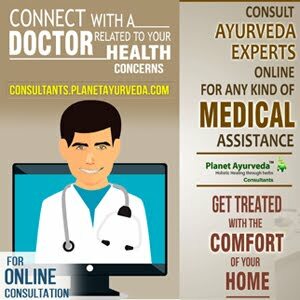 The herb is widely known in Ayurveda for its curative and restorative value, and is considered to be an excellent memory enhancer, aphrodisiac and health tonic. The use of these capsules is beneficial in managing PML because of the Brahmi herb’s proven abilities to promote mental health, strengthen the immune system, reduce stress and anxiety, relieve inflammatory conditions, regulate blood pressure, and remove free radicals from the body. A combination of potent herbs is used for the preparation of these capsules, including Ashwagandha (Withania somnifera), Tagar (Valleriana wallichi), Brahmi (Bacopa Monneiri), and Jatamansi (Nordostachyes jatamansi). The herbal ingredients of these capsules are beneficial for patients suffering from PML because the ingredients can effectively manage diseases of the nervous system, relieve stress and anxiety, calm the nerves, control blood pressure, enhance mental and physical performance, fight depression, increase retention power, boost the immune system, and control vitiated ‘Vata’ energy. The standardized extract of ‘Punarnava’ herb (Boerhaavia diffusa) is used for preparing these capsules. The herb is specifically known for its diuretic properties and its ability to manage inflammation and help the body in eliminating excess fluids. The use of Punarnava capsules can be beneficial in the management of PML because they can treat general weakness, cure edema (water retention), support the body’s capability to expel fluids, promote liver health, improve respiratory health, and keep the urinary tract healthy. Dosage: 1-2 capsule with plain water, two times a day, before meals. The use of these capsules is beneficial for patients suffering from PML because the herbal components can improve nervous disorders, boost the immune system, strengthen the muscles, improve blood circulation, and treat weakness. Dosage: 1-2 capsules with plain water, once or twice a day, after meals. This amazing herbal powder is considered a natural brain supplement for memory enhancement. It is prepared from a combination of some extremely useful herbs, including Brahmi (Bacopa Monneiri), Shankhpushpi (Convolvulus pluricaulis), Ashwagandha (Withania somnifera), Sonth (Zingiber officinalis), Vacha (Acorus calamus), Pippali (Piper longum), Maricha (Piper nigrum), Ajmoda (Carum roxburghianum), Krishna Jeerak (Carum carvi), and Shwet Jeerak. The symptoms of PML can be managed with the help of this churna because of the ability of its herbal components to rejuvenate the nervous system, improve memory and concentration, alleviate mental stress, reduce anxiety, treat fatigue, strengthen the immune system, relieve speech-related disorders, and balance the ‘Vata’, ‘Pitta’ and ‘Kapha’ energies of the body. Dosage: Half to 1 teaspoons of the churna to be taken with plain water, two times a day. 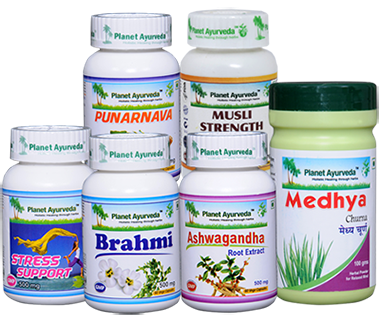 The use of Planet Ayurveda's herbal products is very effective in managing Progressive multifocal leukoencephalopathy (PML) in a safe and natural manner. The products are 100% vegetarian formulations which do not contain any chemicals, additives, artificial colors, preservatives, starch, yeast, fillers or binders.